I truly believe my relationship with coffee is meant to be, based solely on the fact that my birthday conveniently lands on National Coffee Day. Could there be a better holiday to share a birthday with? I honestly don’t think so… Unless such thing as a coffee and doughnuts day exists (in which case, sign me up. To… I dunno? Switch birthdays?). Basically, I was born on the right day. I celebrate coffee pretty much every day of my life, but think this holiday gives me extra excuses to go out for coffee on my birthday. Making coffee at home and enjoying it with my mom and sister, while watching my crazy nephews run and crawl around the house (with no need for caffeine, whatsoever). Sipping coffee on a Sunday while my dad makes a ridiculously awesome brunch involving tons of bacon and lazy weekend conversation. Going out for coffee with my best friend and wondering how three hours got away from us as we sit and chat about all of the important things in life… And all of our crazy college memories. Leaving the office for a few minutes to grab some coffee with my co-workers and taking a much-needed break from the busy day. Picking up coffee and going on a three mile walk with my husband, so we can spend quality time together, talk about our days, and make snide comments about some of the people and houses we walk by. Traveling to see our friends and relatives that live far from us and reconnecting over coffee (and typically a ton of food, too). 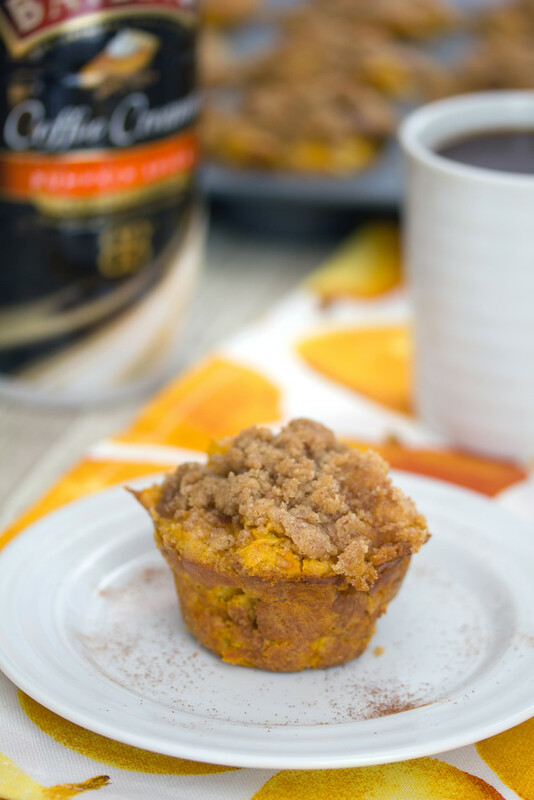 Whipping up a batch of these Pumpkin Spice French Toast Cups and inviting my favorite blogger and blog reader friends over for an all-day brunch. Yup, that means you. What do you want to be doing on National Coffee Day? I’m working with BAILEYS™ Coffee Creamers to help make your coffee date dreams come true! Starting today, you can create your own virtual coffee experience for a friend and be entered to win $5,500 in gift cards (and more!) towards a real-life best-coffee-date-ever. Let’s do coffee! Shall we? Want to know what goes perfectly with a nice hot cup of coffee? These Pumpkin Spice French Toast Muffins. They’re basically individually-portioned french toast servings with a crumb topping. No syrup required because they’re super moist and flavorful already. Mostly thanks to BAILEYS™ Coffee Creamers Pumpkin Spice. While I’d have a tough time not whipping these up and digging in right away, you could easily prepare these the night before and then pop them in the fridge until morning. 25 minutes later and brunch is yours! I’ve always been of the belief that waking up to the enticing fragrance of bacon is the best ever… But now waking up to pumpkin spice french toast is making me question all of my previous beliefs! Like I said, these are perfectly individually portioned. But that doesn’t mean you only have to eat one. This recipe makes 12 french toast muffins and if you’re doing coffee with your best friend, that means you can each have six (duh… math is clearly my strong suit). And considering you’ll probably be sitting at the kitchen table for hours on end just gabbing non-stop, you’ll need the fuel. Plus, the caffeine. 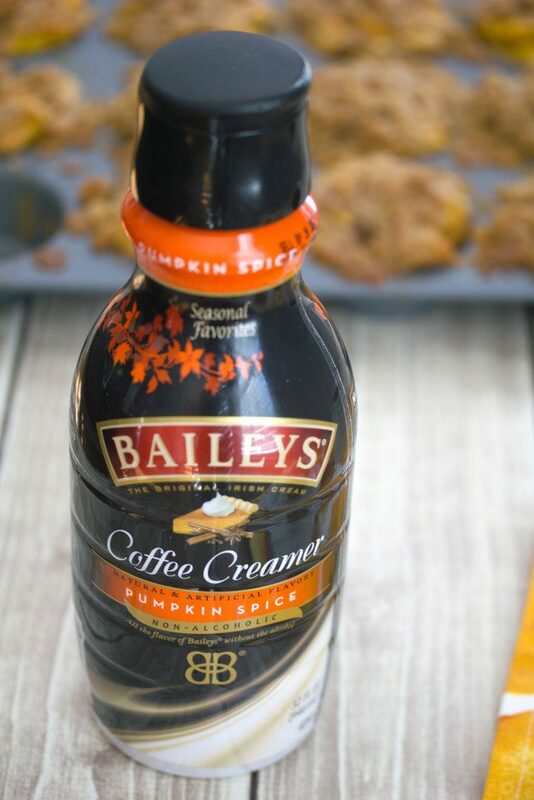 I’m almost always a black coffee drinker, so I love that I can add just a touch of BAILEYS™ Coffee Creamer to my coffee for a huge splash of flavor. 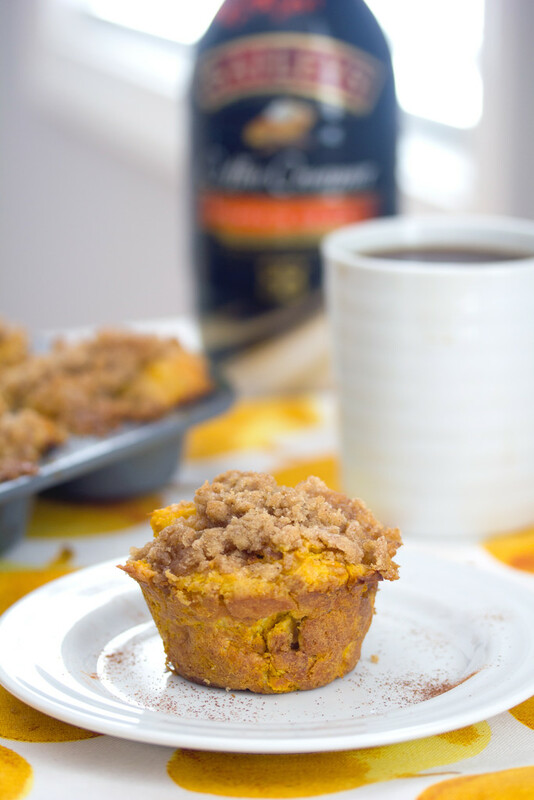 I wish I could send all of you guys these Pumpkin Spice French Toast Muffins and we could have virtual coffee together. Wouldn’t that be fun? I feel like so many of us would be ridiculously good friends and clearly we have a lot in common. If I won the grand prize in the BAILEYS™ Coffee Creamers Let’s Get Coffee Promotion, I think I’d have to invite a few of you to Boston. After all, all of the grand prize options come with $2,000 in flights. Or we could even plan a getaway with the $1,500 for hotel stay. And use the $2,000 in gift cards for a little post-coffee shopping spree. Or throwing an out-of-this world brunch party. 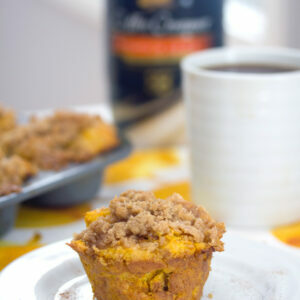 I think these French Toast Muffins would travel well. And since they don’t need syrup, there really is no mess involved. I never thought I would tell you not to pour french toast on syrup, but I’m telling you these aren’t dry at all and they have more than enough flavor without it. You can either eat them like a muffin… Or with a fork like you would french toast. My preference depends on whether I’m sitting at the table or am on-the-go. 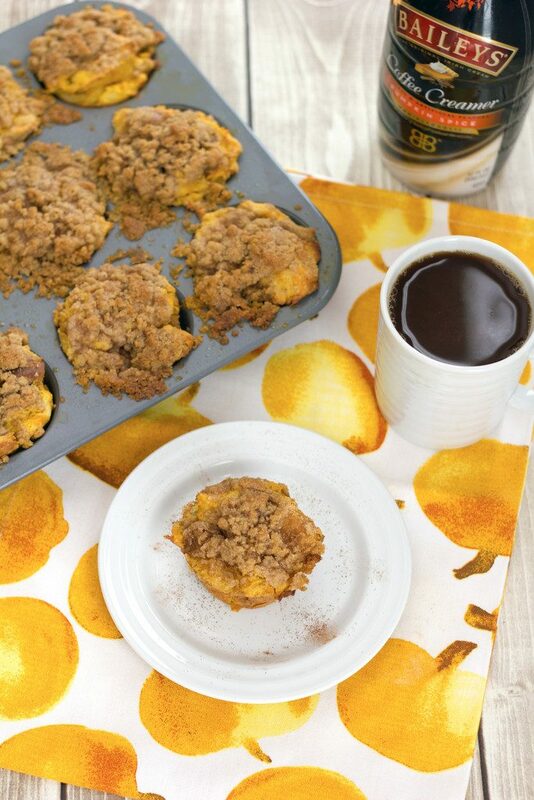 But really, these are the perfect combination of french toast and muffins, so any way goes! How do you want to “do coffee”? Head over to create your own virtual coffee experience (and create your own lookalike avatar!) and BAILEYS™ Coffee Creamers could make it a reality! In addition to the grand prize, there will be three weekly prizes that also involve awesome gift cards and other super fun prizes that will help you plan your ideal coffee date with friends and family. Maybe if you win, you’ll plan a big food-filled meet-up and invite me?? Oh, and happy National Coffee Day!! 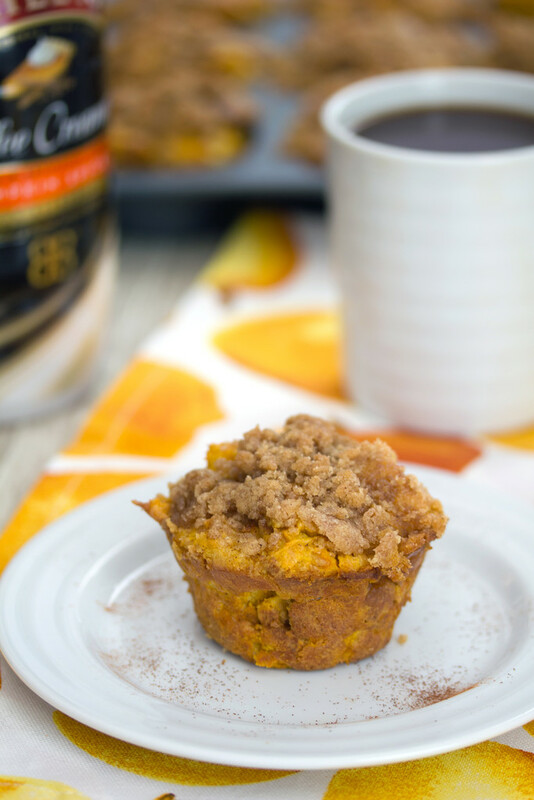 This recipe for Pumpkin Spice French Toast Muffins combines two of your favorite breakfast foods. Invite your friends over for brunch and enjoy with coffee! Place bread cubes in a large bowl and mix in eggs, BAILEYS™ Coffee Creamers Pumpkin Spice, pumpkin puree, and cinnamon. Place bowl in fridge for at least 15 minutes. Divide bread cubes evenly among cavities of lightly greased muffin tin, lightly pressing bread in. Sprinkle crumb topping over bread cubes. Bake at 350 degrees for about 25 minutes. Cool slightly before removing from pan and serving. Combine all ingredients in a medium bowl and use your fingers to blend, until tiny pea-sized clumps form. 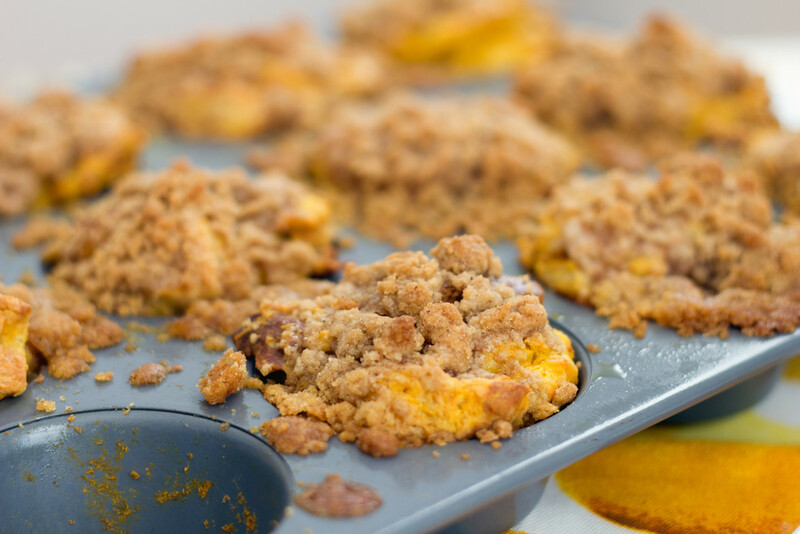 If you want to prepare ahead of time, simply place bread-filled muffin tin in refrigerator overnight and add on crumb topping in the morning before baking. Thank you to BAILEYS™ Coffee Creamers for sponsoring this post! As always, all opinions are 100% my own. 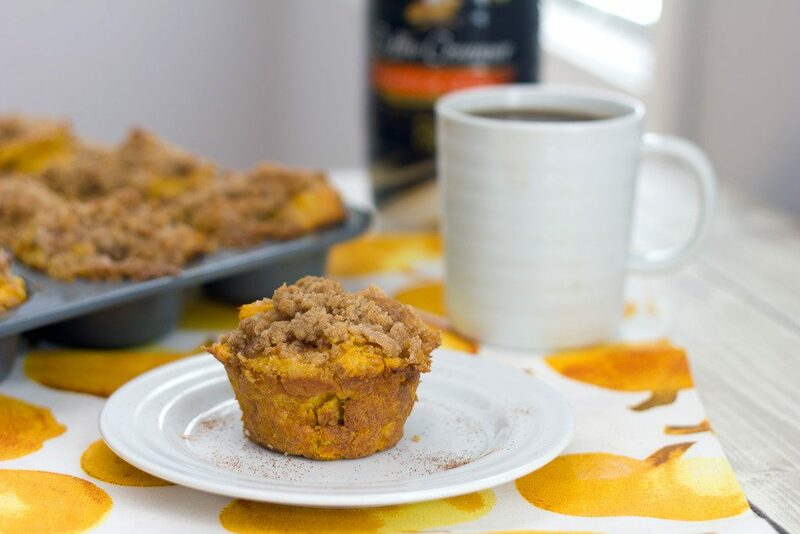 11 Responses to "Pumpkin Spice French Toast Muffins"
The smell of pumpkin muffins rates high up there with bacon. Oh my! These look drool worthy! This looks absolutely heavenly!! Can’t wait to try them :). Pinned! Hope you had a wonderful birthday! 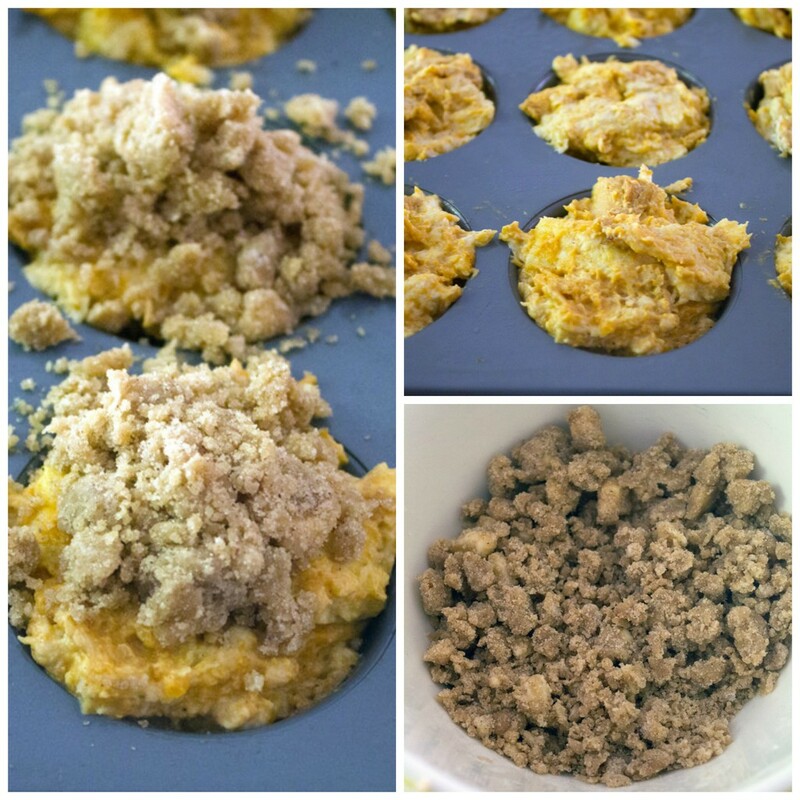 These muffins are such an awesome way to celebrate! Love the Baileys coffee creamer in here! That crumb topping is totally calling my name! I would eat so many of these it would be dangerous but also a very good morning! 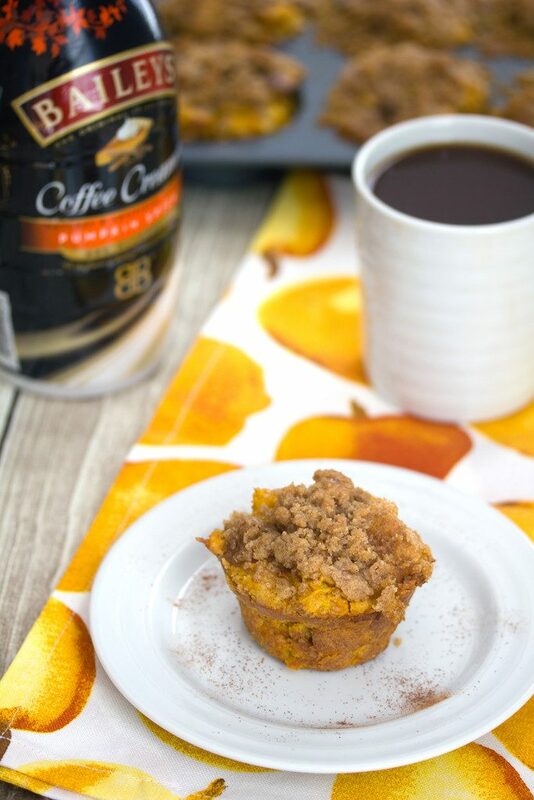 Loving all the pumpkin recipes, especially this one!! Fantastic! Gorgeous! I love muffins so much! Especially ones with gorgeous crumble on top!